Our men’s and women’s recovery homes in Chicago are located near the heart of Chicago’s northwest side. Stairway to Freedom Sober Living includes a number of men’s and women’s recovery homes in Chicago located near the heart of the city’s northwest side. 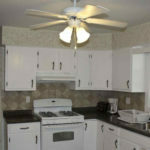 Each of the recovery homes at Stairway to Freedom is rehabbed and provides all of the comforts of modern living. Conveniently located near public transportation heading in nearly every direction of the city and surrounding suburbs, these homes make it easy to attend 12-step meetings, work, and school. Conveniently located in Chicago’s Portage Park neighborhood, Stairway to Freedom‘s Swan House (a sober living facility and recovery home for women) was recently renovated and is close to transportation and shopping at Six Corners, which sits at the intersection of Milwaukee, Irving Park and Cicero. Portage Park is nearby, with gorgeous trees, tennis courts, a bike path, and a public pool. The neighborhood is lovely, and the home itself boasts several modern amenities like high-speed internet, on-site laundry, and HD cable television. 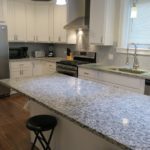 Also recently refurbished, Raven House provides conveniences and comforts such as large flat-panel televisions with HD cable service, high-speed internet, completely modernized kitchens, and on-site laundry. 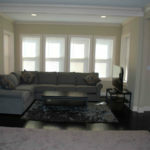 Located in Portage Park, Raven House is within a comfortable walking distance of shopping, parks, and transportation. 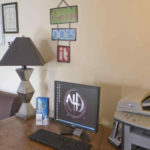 The third women’s halfway house available through Stairway to Freedom is Cardinal House, which also is located in Portage Park, not far from the Old Irving neighborhood in Chicago. Like Raven House and Swan House, it has been refurbished recently to feature all-new furnishings and the same necessary modern amenities as our other women’s residences. 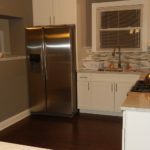 This beautifully-rehabbed two-flat building features chef’s kitchens with stainless steel appliances, custom cabinets, ample closet space, and hardwood floors. Two men are assigned to each room, but they are spacious and The house features several amenities, such free wifi, large flat screen TV’s televisions with premium cable channels, laundry room, and a cozy backyard. Situated in the Belmont Cragin area of Chicago, the Condor House is conveniently located near restaurants, shopping and public transportation. Recently renovated, Hawk House is located near Six Corners in Portage Park. Featured amenities include computers with high-speed internet, large flat screen TV’s with premium subscription cable channels, on-site laundry facilities and comfortable recreation areas. Also located in Portage Park, Eagle House has been renovated with plenty of modern amenities within, such as wide-screen flat-panel televisions with premium cables channels, free wifi, and comfortable recreation areas. Like most of the other recovery homes available through Stairway to Freedom, Sparrow House is located near Six Corners in Portage Park. 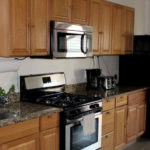 This facility is equipped with computers hooked up to high-speed internet, large televisions with premium cable service, modern bathrooms, on-site laundry facilities, and a recently remodeled kitchen that now features lovely granite countertops. 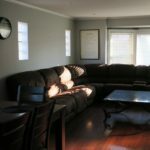 If you or someone you know is looking to rebuild their life and create a strong foundation toward remaining clean and sober long-term, consider scheduling a consultation with someone from Stairway to Freedom Sober Living so we can get you into the best recovery home for your ongoing quest toward lasting sobriety.